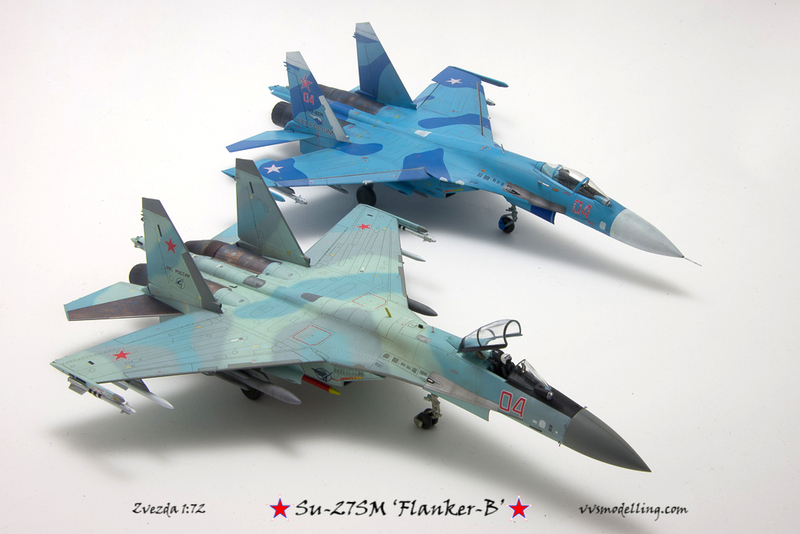 Su-27SM (serial modernized) is a program similar to NATO’s F-16 Mid-Life Upgrade (MLU) one. 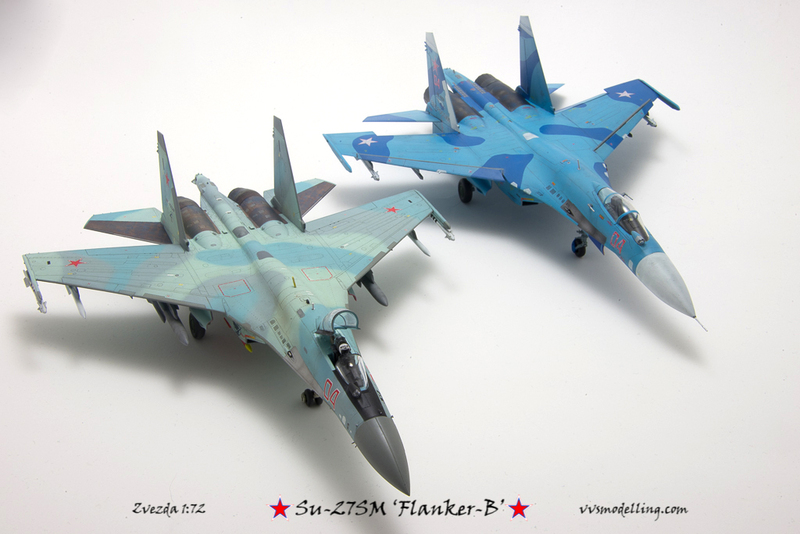 The aim is to increase combat capabilities of Russian Flanker fleet as well as overhaul the airframes extending their service life. The results of this modernization are improved cockpit ergonomics with the so called glass-cockpit (majority of needle instruments replaced by three LCD displays), improved forward visibility due to offset IRST sensor as well as the ability to carry ‘smart’ air-to-ground weapons including laser guided bombs, TV and laser guided missiles as well as lethal anti-radar and anti-ship missiles. 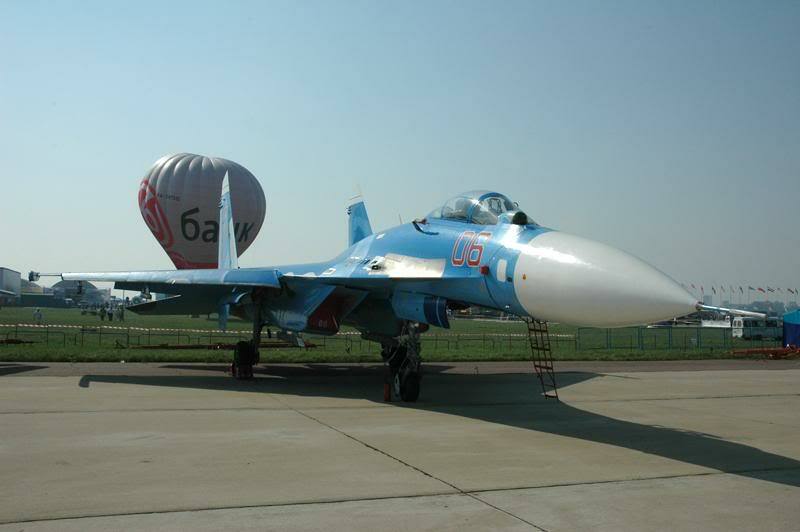 First airframes were completed in 2004 and the program is ongoing with several dozen fighters in operational use. Parallel to the SM, export version, labeled SKM, was derived, which differs from the SM by the inclusion of in-flight refueling probe. Indonesian Air Force is the sole operator so far. 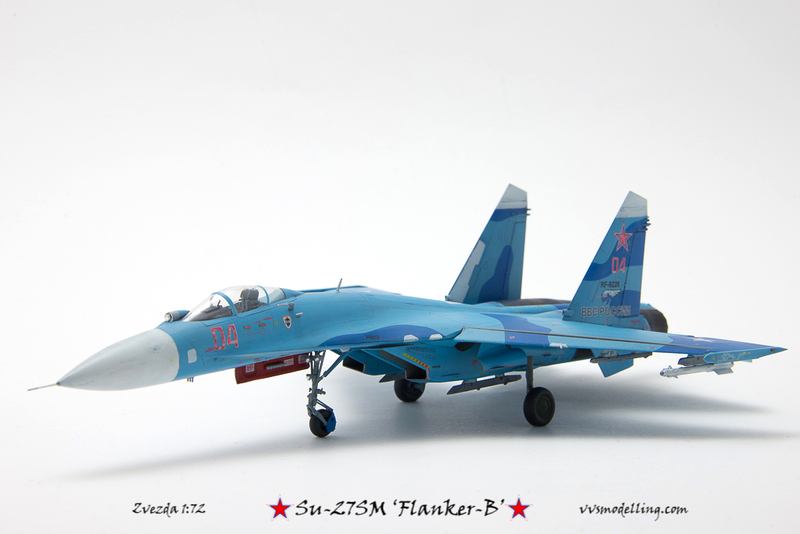 The model represents a Flanker in use by the elite 4th Combat and Conversion Training Center (4 TsBP i PLS) at Lipetsk Air Base in Russia. Red 06 from the same unit – I took this photo at MAKS 2007.